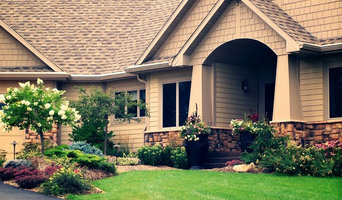 Hillside Design & Landscape inc. is family-owned and operated right here in Brooklyn Park, MN. Since our company opened its doors in 2003, we started doing lawn care and landscape maintenance, and grew into landscape installs. 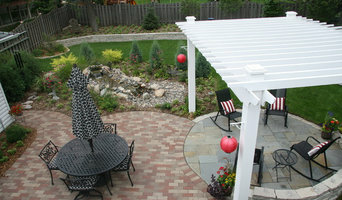 over the years we have focused on creating outdoor living spaces, retaining walls, and complete landscaping makeovers. our passion for quality, and customer satisfaction has grown with our company, and we would like to show you. LCI Landscapes has been providing home owners with exceptional design and installation for their outdoor recreation and living areas for over 15 years. We work with you to create a landscape that is beautiful and easily managed. Whether you're a gardener looking for a patio or retaining wall installed or a busy homeowner that wants to spend their free time with family and friends rather than outside doing maintenance. Working within your budget and incorporating your style and taste is a huge part of our mission. We pride ourselves in delivering a great experience through the construction process and answering any questions along the way you may have. Most importantly is your happiness with the final product. We love what we do and it's expressed through the craftsmanship of our work. We are your local experts in landscape and outdoor lighting in Minneapolis and the surrounding areas. We take a full service approach to outdoor lighting designing, installing and maintaining systems for our clients. Our trained lighting designers will work with you to create a system that highlights all the best aspects of your property based on your tastes and budget. At Outdoor Lighting Perspectives, we pride ourselves on being the leaders in residential, commercial and holiday lighting. Please contact us to schedule your at home consultation. 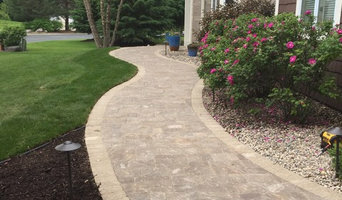 NS Landscapes is an owner operated landscaping company specializing in designing and building custom landscapes. We pride ourselves in our personalized customer service while creating outdoor family memories with a long trail of satisfied customers. 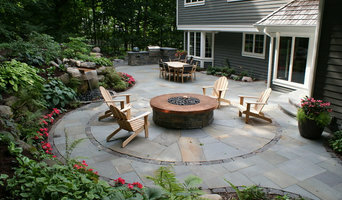 With our knowledge and creative expertise, we can help you design your personalized outdoor living space. Our staff attends several local educational workshops throughout the year. At these workshops, we keep up to date in the latest and most efficient trends and techniques in modern landscape installation. This enables us to keep our services affordable while still being cost effective. Once upon a summer evening in 2005, a curly-haired boy biked up to a girl sitting outside a cafe in downtown Minneapolis. A potent combination of extreme humidity and romantic infatuation had temporarily shut down the boy’s better judgment center and he stopped his bike to tell the girl he thought they needed to know each other. By some minor miracle she agreed…in short order the boy and girl fell fast in love with each other and fast out of love with their indoor desk jobs. Flush with the confidence of love, they tacked up homemade flyers around town, took out a long-term lease on their parents gardening tools, and Landscape Love was born. Much has changed since that first season; we’ve gotten married, traveled the world, brought the love to hundreds of landscapes, had two sons, and given our parents back their borrowed tools (well, most of them). Our Landscape Love family now features a committed, collaborative team of designers, stone artists, garden gurus, and clever carpenters. Our team has grown but the heart of Landscape Love hasn’t changed - we still believe, as one of our very first clients told us, that “being creative is creating the life you want to live.” We love living this life full of dirt under our fingernails and sunshine on our faces. We are so grateful for the people and families we are fortunate to work with, the outdoor spaces they trust us with creating, and the resulting relationships that continue to blossom and grow! Since 1995, Johnson Creek Landscaping continues to be a preferred Residential Landscape Design Build firm focused on delivering BIG results! Our goal is to provide a more personal landscape experience for our clients and develop a long lasting relationship. We create your designs and closely oversee your landscape project. Our dedicated staff installs your project requiring few, if any, subcontractors. We enjoy what we do and stay focused on your landscape goals and dreams. Johnson Creek specializes in urban landscapes, landscape renovations and creating exceptional outdoor living spaces for our clients. We combine diverse plant materials with creative use of hardscapes while accommodating our client’s lifestyle, budget and dreams.